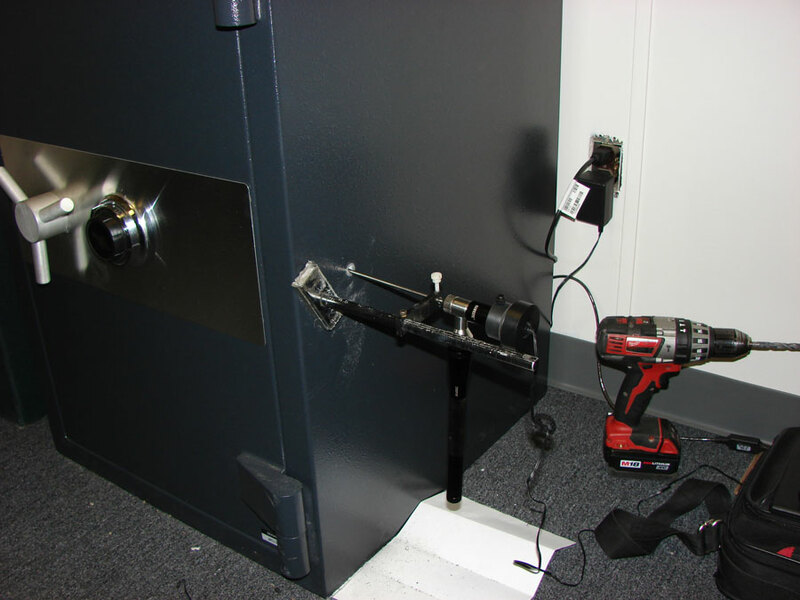 Opening locked safes and damaged safes is a very specialized field, beyond the scope of most locksmiths. There are numerous reasons why folks cannot get into their locked safe – lost combination, numbers known but dialing sequence unknown, lock failure, damage from break-in, dried up lubrication gumming up the moving parts, fired re-lockers, disconnected boltworks, door jammed for one reason or another – the list goes on. If you have a safe that you cannot get open, knowing the manufacturer, model and type of lock are very important. Before you call us, go to the Safe Lock Identification section of our website to help figure out what you have. 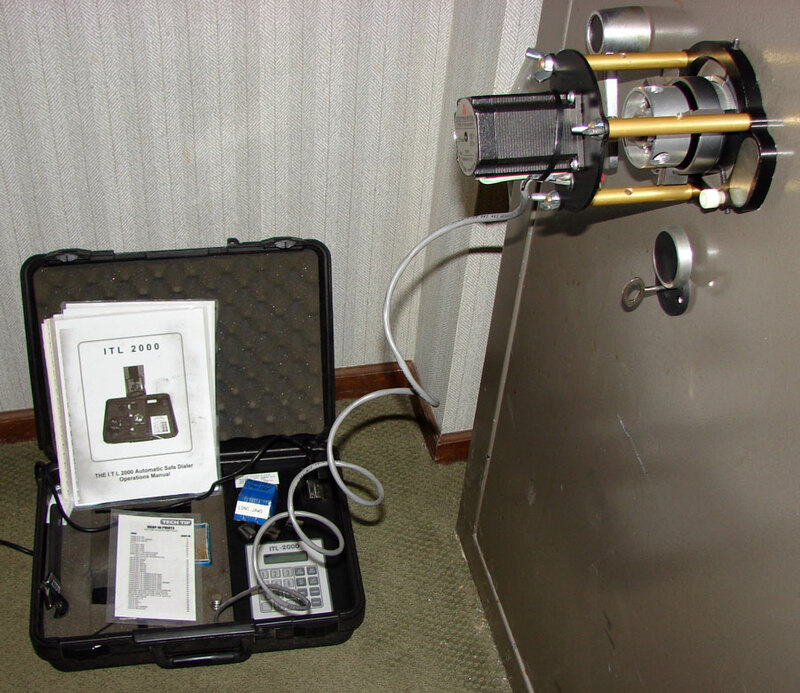 Methods for opening safes can be extremely simple or very difficult depending on the specific problem and the unit’s security rating. The problem determines the required opening method. That, along with the security level of the safe, affects cost. The most effective safe opening technique can be employed if the technician is able determine the specific problem. This is where experience comes in. Lost combination for dial locks with manufacturer assistance: We can get original combinations from some manufacturers if the serial number is available. In this case, if the original factory-set combo has not been changed, and there is no damage to the safe, the cost for opening your locked safe is minimal. Lost combination for electronic locks with manufacturer assistance: We can get a reset or override code from some manufacturers if the serial number is available. In this case, if the same has not been damaged, cost is minimal. Numbers known, unknown dialing sequence: If the safe has no damage, we can determine the opening sequence and open the locked safe at a very small cost. Lost combination for dial lock, no records: We can sometimes manipulate the lock to open by hand or by machine. If the safe is undamaged, cost will be moderate. 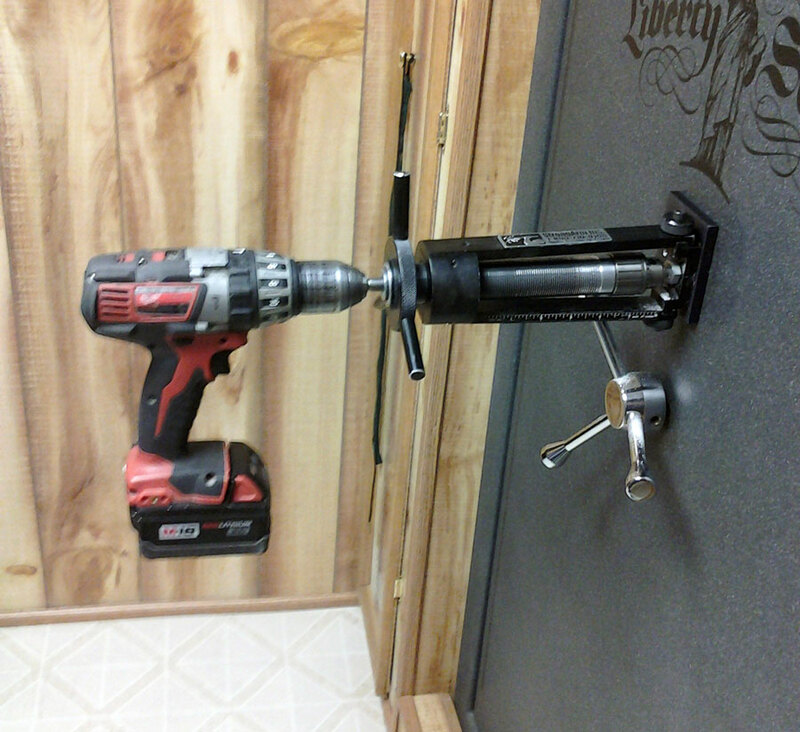 If we are unable to manipulate the lock open, we can open the safe by drilling. This usually involves one minor hole which gets filled, and the hole is typically not in visible location. This safe opening procedure will be a higher cost. Lost keys for safe deposit type lock: We’ll drill through the key hole; the lock will need to be replaced. The safe will not be damaged, cost will be moderate. 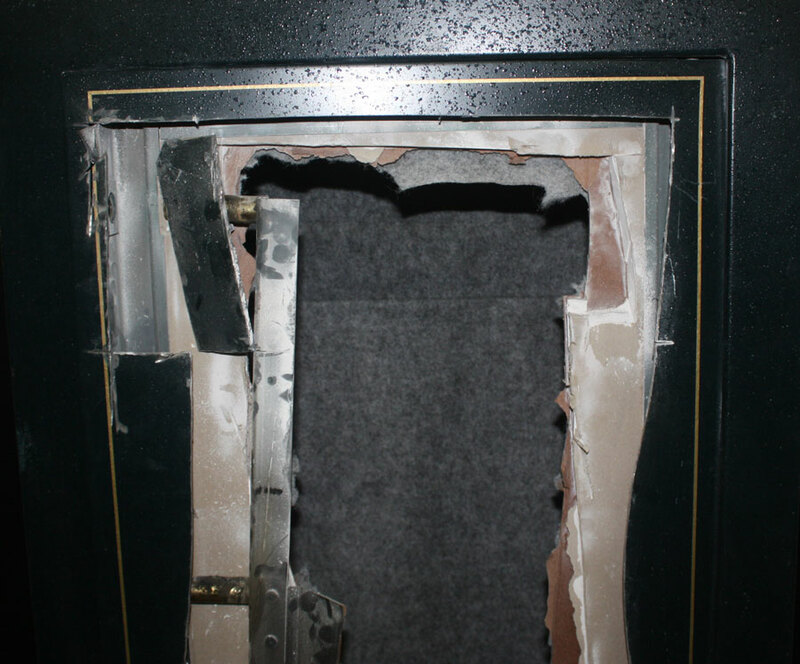 A West Michigan “Locksmith” responded to a customer who could not open his safe. Unable to open the safe in a legitimate way, the locksmith completely destroyed the unit by sawing it open, then charged his customer $1200. When we delivered a new safe to him, we determined the reason his old safe would not open: One wheel in the lock was off by two numbers. A knowledgable technician would have dialed the lock open in about five minutes! 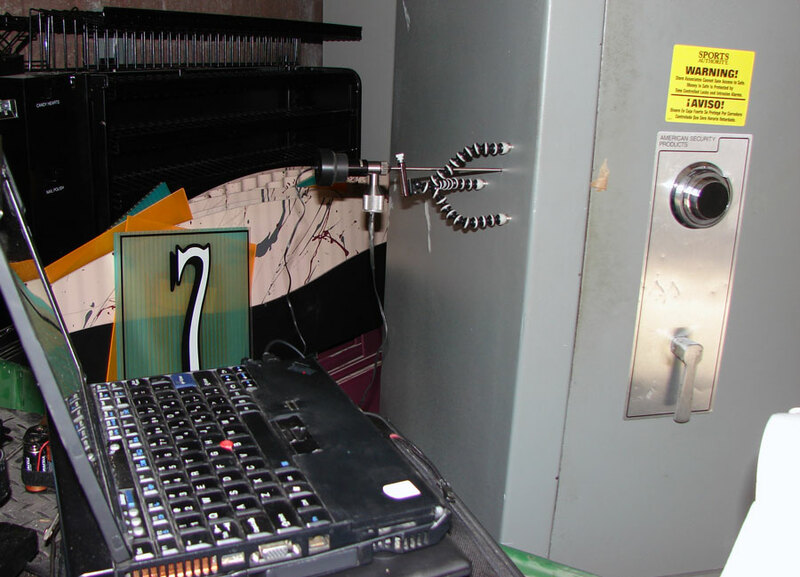 Dial or keypad is smashed: With “tech tricks” we can frequently make a good connection to either the broken dial spindle or the electronic lock wire, allowing us to open the vault with no further damage. Replace broken parts, moderate cost. Fired internal re-locker: The safe usually must be drilled, which involves one minor hole that gets filled. The hole is typically not in a visible location. This process is moderately expensive. Fired external re-locker: Must be drilled. One or two holes, typically visible on the face of the safe door or on top of the body. This process is more expensive. Fired glass re-locker on TL-30 safe: Drilling is required, and will produce several visible holes. This process is very expensive. If a safe needs to be drilled to get it open, a properly trained safe technician is likely to drill one or two holes. A locksmith without proper training might drill multiple holes, and might actually make a unit un-usable. It is not uncommon for a customer to call us after someone else has put six holes into their safe and still failed to get it open! Hoogerhyde Safe & Lock is West and Central Michigan’s safe authority. If you require assistance with opening your locked or broken safe, please identify your safe and lock type. Then, call us or visit our shop in Grand Rapids. Our trained technicians will be happy to open your damaged or locked safe at a reasonable price.